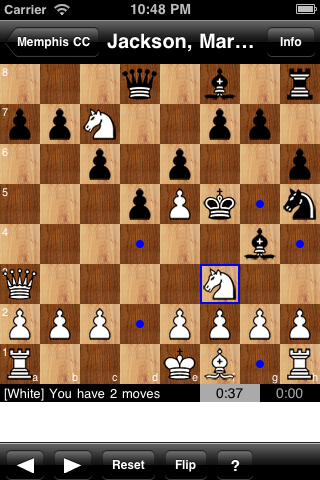 Beginners and experienced players alike will enjoy solving the chess puzzles included in this app. All of the puzzles were hand picked and were either taken from actual games or are compositions inspired by actual games! 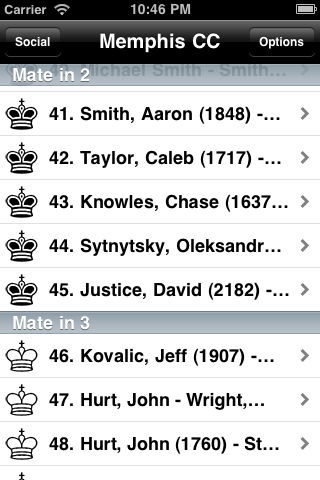 The app includes 500 interactive puzzles ranging from mate in 2 moves all the way to mate in 26 moves! The object is to finish each puzzle by forcing a checkmate in a given number of moves. 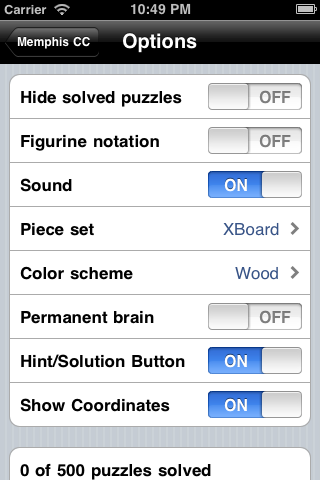 These puzzles are fun to play and can be enjoyed at your leisure on your iPhone, iPod touch, and iPad. 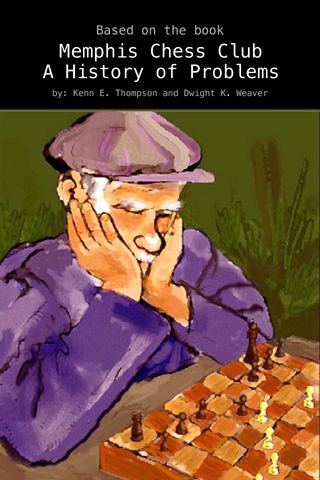 All of the puzzles in this app were taken from the book 'A History of Problems: Memphis Chess Club' by Kenn E. Thompson and Dwight K. Weaver (2011). Timing clock is displayed while you are working on each puzzle. How long you take to solve a puzzle is stored. Lots of options: 7 chess piece sets and 7 different colors schemes including wood and marble. Social Gaming: Leaderboards to compare the number of puzzles you have solved with your friends and other players. 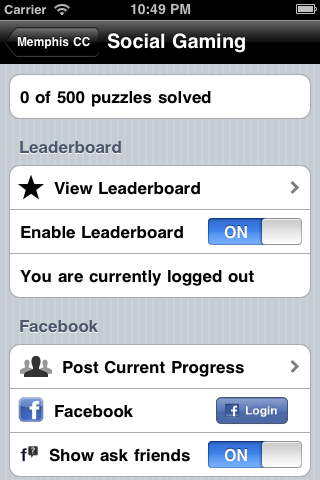 Facebook integration - including the ability to post your progress and ask your friends for help on a puzzle. Universal app - works on iPhone, iPod Touch, and iPad - high resolution graphics all around (where supported). Check out this review of the app (and book) at Chess.com! The Mate in N puzzle framework is released under the GPL license: source.